Blue Hill Bach is grateful to Jan and Robert Marville for their support enabling a promising young musician to participate in the Festival as both a performer and as an apprentice member of the management team, with the opportunity to learn the nuts and bolts of producing concerts in a small community. The Fellowship is awarded to a gifted young artist who seeks a career singng or playing the music of Bach and his contemporaries in a historically-informed style, and who can benefit from performing side-by-side with some of the most distinguished professional Baroque musicians in the United States. 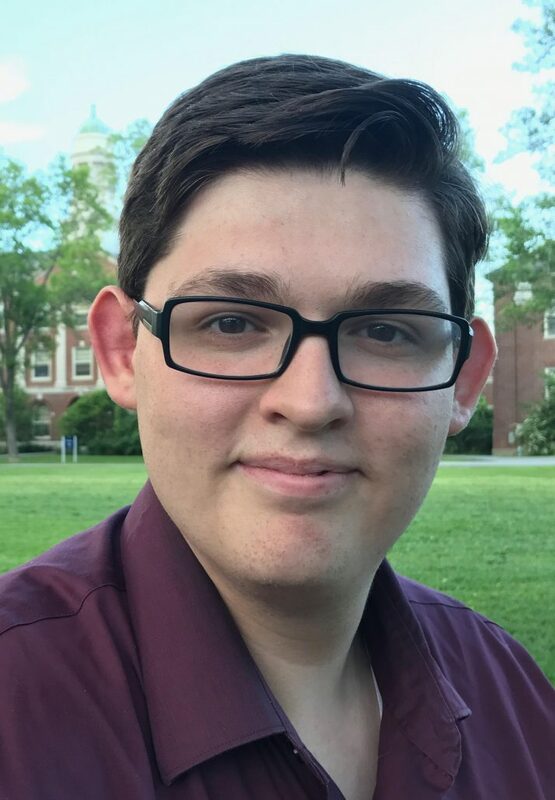 The 2018 Blue Hill Bach Marville Young Artist Fellow is Zachary James Fisher, tenor, a senior at the University of Maine at Orono, where he is majoring in Music Education and Music Performance. As a Vice President of the University Singers, Zachary oversaw the 2018 spring tour. He is also a member of the critically acclaimed choir ‘Euphony’ and the Gilbert & Sullivan Society of Maine. He recently started the position as Assistant Conductor for the Bangor Area Children’s Choir, and sang at Carnegie Hall under the direction of Dr. Dennis Cox. Zachary has sung in the Blue Hill Bach ensemble since 2016, performed in the motet ensemble for the 2017 Summer Festival, and made his solo debut in the 2017 performance of Handel’s Messiah. Zachary James Fisher will perform at the 2018 Blue Hill Bach Festival singing the role of Sailor in Henry Purcell’s Dido and Aeneas and as a member of the vocal ensemble. He will also be featured at a special pre-festival donor event.